Time to dust of those old irons and get down the driving range, season 5 week 5 challenges are here and they include a bit of Fortnite Golf!! Hit a golf ball from tee to green – FOOOOOORRRREEEEE! Hint – at time of writing, you could simply putt it in from a meter and it registered! 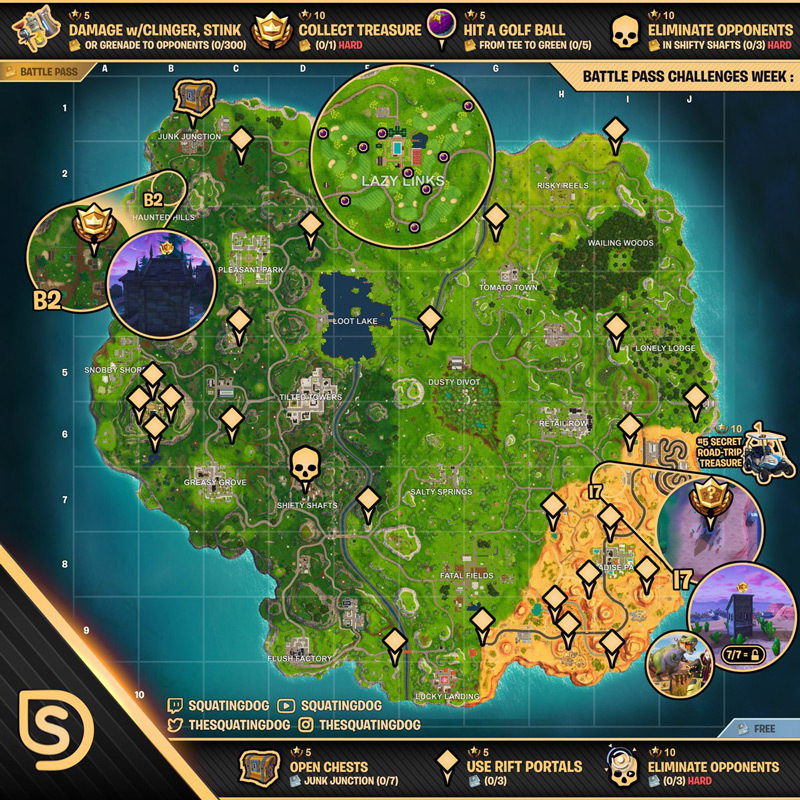 Eliminate Opponents (Shifty Shafts) – Get it done nice and early, not that popular! Collect Treasure – Navigate to square B2! Damage with clinger / stink – Use the old down em then stick / stink em approach.